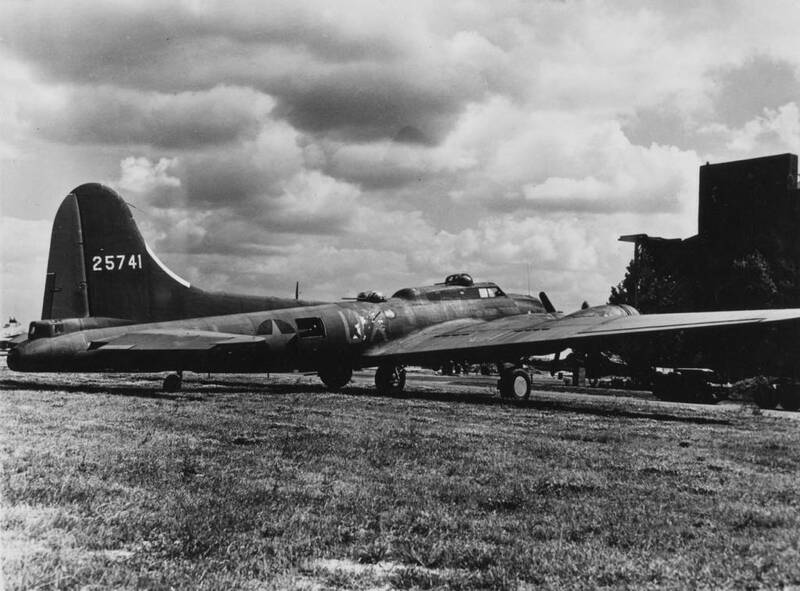 (YB-40) Delivered Tulsa 12/11/42; Biggs 17/3/43; Montbrook 31/3/43; Presque Is 30/4/43; Assigned 327BS/92BG [UX-H] Alconbury 7/5/43 CHICAGO; transferred 401BS/91BG [LL-Y] Bassingbourn 22/7/43; Returned to the USA 2/11/43; 3036 BU Yuma 4/5/44; Reconstruction Finance Corporation (sold for scrap metal in USA) Ontario, Cal. 18/5/45. GUARDIAN ANGEL.